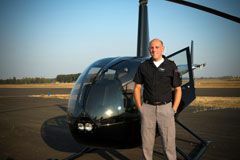 What: Ingo Nehls is passionate about flying helicopters. Sharing this passion and excitement in scenic flights and flight training is what Konect Aviation is about. Where: 4040 SE Cirrus Ave.